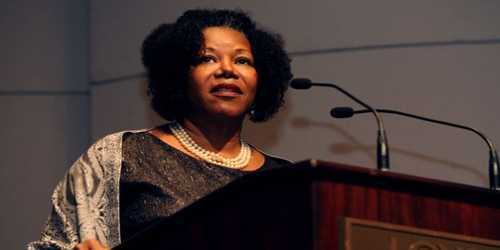 Ruby Bridges was the first African-American child to attend an all-white public elementary school in the American South. Bridges’ bravery paved the way for continued Civil Rights action and she’s shared her story with future generations in educational forums. Her father was averse to his daughter taking the test, believing that if she passed and was allowed to go to the white school, there would be trouble. Her mother, Lucille, however, pressed the issue, believing that Ruby would get a better education at a white school. She was eventually able to convince Ruby’s father to let her take the test. 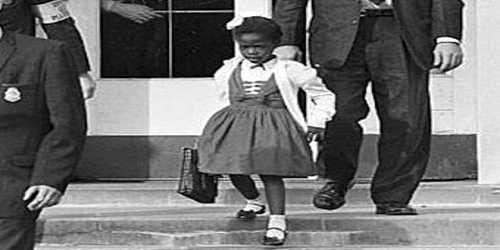 In 1960, at the age of 6, Ruby Bridges became the first black elementary school child to attend a white school. Due to White opposition of integration, Ruby needed to be escorted to school by federal marshals. After Ruby entered the school, many of the teachers refused to teach and many of the White students went home. Ruby went to school everyday. Ruby began the first grade at her old school. Some people were still trying to stop her from going to the all-white school. 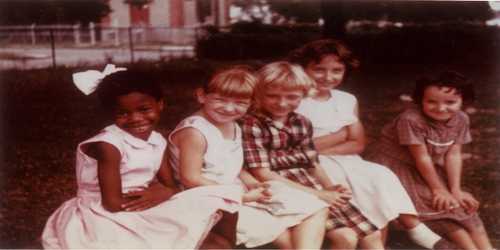 However, on November 14, 1960, Ruby attended her first day at the all-white William Frantz School near her home. It was only five blocks away. When Ruby arrived at the school there were lots of people protesting and threatening Ruby and her family. Ruby didn’t fully understand what was going on, but she knew her parents were scared. Some white men in suits arrived (Federal Marshals) that morning. They drove Ruby to school and surrounded her on the way in. The first day of school was strange for Ruby. All she did was sit in the principal’s office with her mom. She saw the parents of white kids come in throughout the day. They were taking their kids out of the school. Ruby was the only black child to attend William Frantz School. Even though the school was integrated, the classrooms were not. She was in a classroom all by herself. She had a white teacher named Mrs. Henry. The rest of the year it was just Ruby and Mrs. Henry. Ruby liked Mrs. Henry. She was nice and they became good friends. The fact that Ruby Bridges was born the same year that the Supreme Court’s Brown v. Board of Education decision desegregated the schools is a notable coincidence in her early journey into civil rights activism. 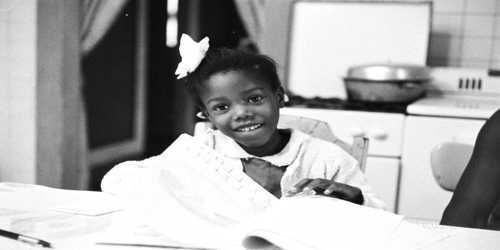 When Ruby was in kindergarten, she was one of many African-American students in New Orleans who were chosen to take a test determining whether or not she could attend a white school. It is said the test was written to be especially difficult so that students would have a hard time passing. The idea was that if all the African-American children failed the test, New Orleans schools might be able to stay segregated for a while longer. Ruby lived a mere five blocks from an all-white school, but attended kindergarten several miles away, at an all-black segregated school. Ruby graduated from a desegregated high school, became a travel agent, married and had four sons. She was reunited with her first teacher, Henry, in the mid 1990s, and for a time the pair did speaking engagements together. Rudy later wrote about her early experiences in two books and received the Carter G. Woodson Book Award.